Goods flow in marketplaces of the EVO Group in Ukraine (Prom.ua, Bigl.ua, Crafta.ua, Shafa.ua) in January-June 2018 totaled UAH 10 billion, which is 52% more than a year ago, the company’s press service has told. The average bill – UAH 893 – almost did not change in a year. 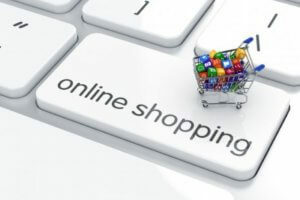 According to Prom.ua and Bigl.ua marketplaces, the greatest demand among online purchases is on clothing and footwear, appliances and electronics, cosmetics, perfumes, as well as books, hobby goods and gifts (table games, balloon bouquets, handicraft articles and other things). “The highest number of orders for goods for business and day-to-day items – they grew by 70% compared with the first half of 2017. 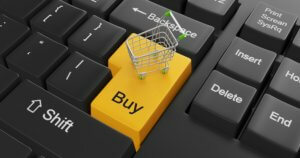 Household chemistry, pet goods, office items were traditionally bought in convenient stores, now they are bought online. The same thing is with goods for business: instead of finding suppliers at exhibitions, they look for construction equipment, clothing, systems for video surveillance, fire alarms and other items online,” Prom.ua CEO Ivan Portnoi said. According to EVO, in six months on Shafa.ua Ukrainians bought outfits for UAH 169 million (for comparison, for the whole of 2017 – UAH 212 million). “Interest in second-hand items is growing for two reasons. The first thing is that to buy used things online is beneficial: on average, one thing in the Shafa marketplace costs UAH 240 for customers, and this is often the brand thing in perfect condition. In addition, conscious consumption is developing in the country,” Shafa.ua CEO Oleksandr Royenko said. The main business of EVO is marketplaces. The projects of the group are working in Ukraine, Belarus, Russia and Kazakhstan. Goods turnover of marketplaces of the EVO Group in Ukraine (Prom.ua, Bigl.ua, Crafta.ua, Shafa.ua) in January-March 2018 totaled UAH 5 billion, which is 36% more than a year ago, the company’s press service has told the Kyiv-based Interfax-Ukraine news agency. The number of orders in the first quarter of this year increased one third, while the average receipt did not actually change. On average, Ukrainians spend UAH 960 for one purchase on Prom.ua, the average receipt on Bigl.ua is UAH 678, for buyers Shafa.ua it is UAH 257, and the average receipt for Crafta.ua is UAH 217. “Most often Ukrainians buy clothes, equipment and electronics on marketplaces, but the growth pace of these categories are slowing down. EVO analysts said that Ukrainians are more willing to buy food, everyday goods, cosmetics, goods for children, and manufactured goods on the Internet,” the company said. EVO also said that at the beginning of the year, the demand for goods for construction and repair has traditionally been growing. In the first quarter of 2018 the number of purchases in the category “food and drink” increased 2.2-fold, to UAH 141 million, in the category “pets and pet products” – by 80.5% to UAH 44.9 million, and in the category “equipment and electronics” – by 72.3% to UAH 743.4 million. The core business of EVO is marketplaces. The projects of the group are working in the markets of Ukraine, Belarus, Russia and Kazakhstan. In May 2016, the electronic platform Prom.ua was reorganized into a group of companies EVO. The group implements B2C, B2B, B2G and C2C projects on the Internet. So, within EVO the following projects are developing: prom.ua, satu.kz, tiu.ru, deal.by, bigl.ua, shafa.ua, kabanchik.ua, crafta.ua, as well as a platform-participant of the electronic public procurement system of Ukraine zakupki.prom.ua.